With the cooler temperatures and fall weather, I have been craving comfort food. I have heard rave reviews recently on Pioneer Woman's Chicken Spaghetti, and decided to try making a gluten-free version. 1. 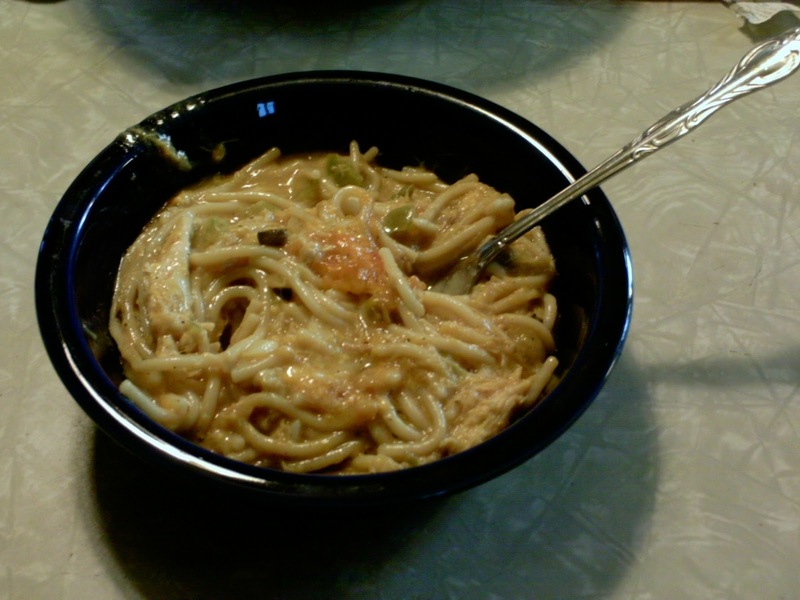 Boil your spaghetti until a little al dente (because you will be cooking it further in the oven), preferably in homemade chicken broth (unsalted or lightly salted) or in a mix of commercial stock cut with water to reduce salt content in your cooked noodles. 2. Meanwhile, in large bowl, combine remaining ingredients (except for reserved cheese for the top). 3. Add spaghetti noodles once they are cooked, and add enough water to allow the mixture to stir easily. 4. 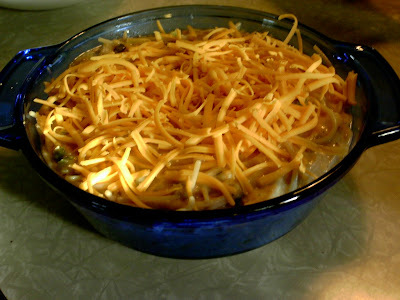 Pour into greased casserole dish and top with remaining cheese. 5. Bake at 350 for 30-45 minutes or until bubbly and the cheese is a bit browned. October 2011, Week 4: Can I really feed a family of five for $450/month? After 3 days of being homebound with a sick child, I finally made it out to run to the store. I've really been holding out for the health food store, as they carry the foods I do best with. They are open Monday nights, but somehow that didn't work out so I had to wait until today to go. I decided to go ahead and use up the remainder of my $450 for the month. Some/much of this I will be using next month. So....from last shopping trip, I had $72.99 to work with. Ok, I went over. Should have not gotten that impulse coffee creamer, huh? But, it's pretty close, and I can almost say I did it! I don't plan on another trip to the store before the end of the month. I had $1.55 in coupons. I plan to dry most of the apples I bought. Used much of the baked beans/marshmallows/cider in a weekend gathering. I had a sick kiddo yesterday and she's home again today, so that makes me essentially homebound from going shopping (especially at the health food store, which closes before hubby gets home). I do want to pick up a few things...probably use the rest of my alotted amount up there as we are near the end of the month. Monday: Biscuits and gravy (took advantage of the cheap biscuits and milk...for me, I had sausage, some leftover green beans/mushrooms from the fridge, and some canned peaches from the pantry. Had my little miss not been sick, I would have gotten some more GF baking mix and made myself some GF biscuits and used a GF thickener in the gravy and had biscuits and gravy with the rest of the family...). Wednesday: Sandwiches, cut up apples or Apple Salad?, Cole Slaw? Thursday: Pinto Beans and ? 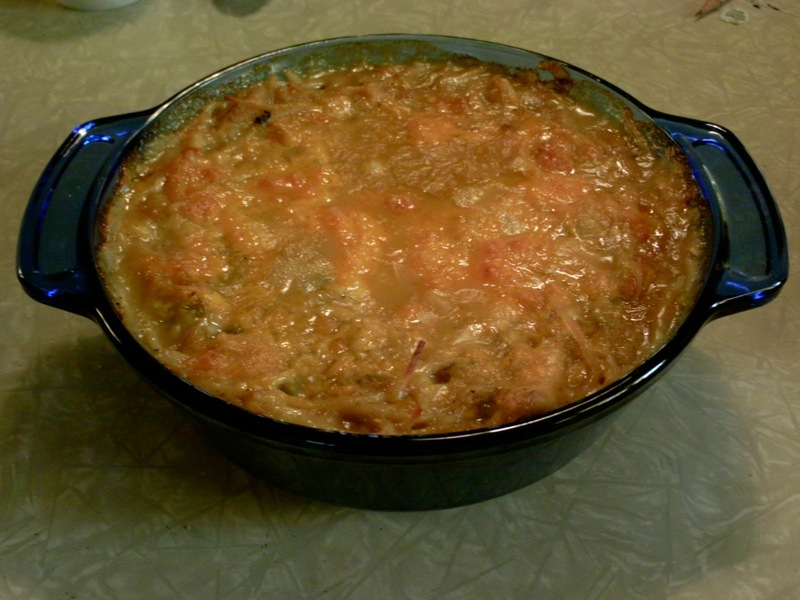 (Tamale Pie? ), Tortilla Chips? 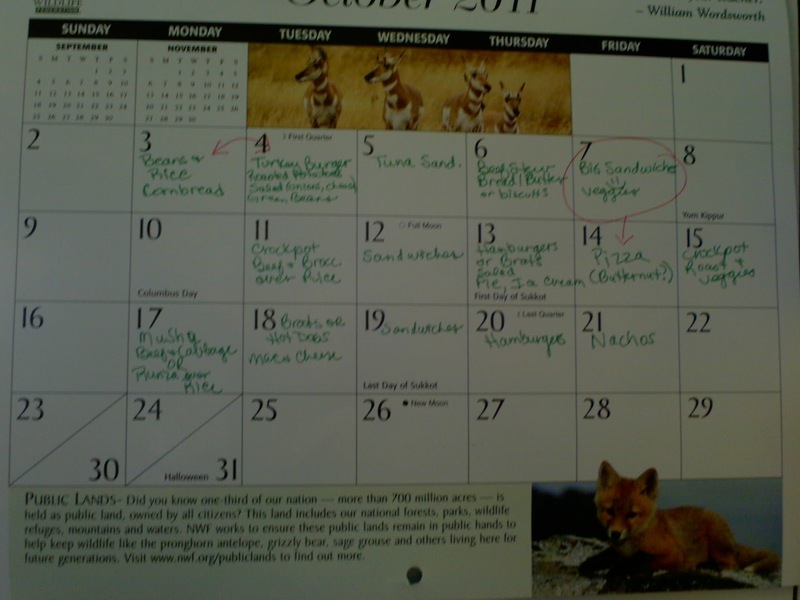 October 2011, Week 3: Can I really feed a family of 5 on $450/month? So it's Week 3 of my little trial. On Monday, I re-evaluated my menu and wrote a short list of things I needed from the store for this week. So....last week's tally showed I had $124.74 left for the month. ~Thursday night is going to be Hamburgers, maybe a Tailgate salad (which I might double for our gathering on Saturday) and I'm thinking about making a big pot of baked beans to go with it or even have instead of the hamburgers--especially if I get around to making cornbread! ~For our Saturday gathering, we are contributing a cold dish and a hot dish... still brainstorming, but am thinking maybe a white/green chili utilizing the leftover chicken meat, and Tailgate Salad? Or maybe instead of tailgate salad, I will bake a cake with one of the boxes of regular cake mix I still have around here...or...GF Crustless Pumpkin Pie? My garden is offering up the following for me to incorporate into our menu: Beets, Butternut Squash, Chard, Kale. Our two sons are in Cub Scouts and are currently selling Trails End popcorn products to raise money for their various activities. Now, you may ask "Why would I, a ______-allergic person, buy this stuff?" Because...you don't have to bring the stuff into your house. Instead, you can give money towards popcorn that will then be sent to our Military. Support the Scouts AND our Military troops? Sounds like a plan! I don't particularly like to make regular pie crust, much less try to figure out how to make one Gluten-free. At least not at this stage in the game. For me, pumpkin pie is all about the pumpkin flavor mingling with all those spices.The following recipe satisfies that craving. According to my last grocery shopping post, I have $176.97 to work with for the rest of the month. So, previous total of $176.97 - $52.23 = $124.74 left for the rest of the month! Here is what was/is on the menu for last week and this week. Saturdays are either leftover days or something cheap like a pot of beans and a side of cornbread. Sundays we often go to the in-law's for a big lunch and then in the evening I serve up things like sandwiches, hot dogs, macaroni and cheese, cut up fruit/veggies....and often pop popcorn to share as we watch a show together. Breakfasts are either cereal or bagels that we were able to get relatively cheap, or eggs....hubby and generally have oatmeal. It's rather crazy on school mornings getting everyone ready to go out the door on time, and I am not a morning person, so I generally put a selection of stuff out on the table so I can do Ivy's curly hair w/o having to police breakfast. Breakfast isn't an everyone-at-the-table-together meal around here. So, that leaves the weeknights. ~Monday--got back from camping and tired and putting away and etc.--Mac 'n Cheese for the kids, Romaine Salad for hubby and I, Brats/half pack of hot dogs (still had leftovers), and a sweet potato w/butter/sour cream on the side for me. I need to go to the store today and pick up Milk and some produce. I went to the local health food store to get the items to fill out the other chunk of my grocery list. Yes, the food there is Expensive. But it's local, and it's stuff I can't get anywhere else! ~Whole Pastured Chicken $14.91--yes, that's for 1 bird. After raising our own from chick to dinnerplate, I almost don't blink at the price here, though. Pastured=a bird that contains omega 3. Besides, I plan on using this bird for at least 3 meals. $5/meal for meat for a family of 5 isn't half bad. 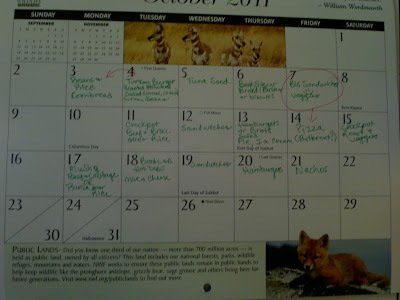 October 2011, Week 1: Can I really feed a family of 5 on $450/month? As I have mentioned in an earlier post, I want to keep track of what I buy for a month and see if I can do it for our family of 5 for $450 or less this month. 1. I made a rough menu with what we have on hand in the house. Not sure this is cheating, but it's what I do every month...and I didn't go over last month (had $1.05 left over even, hehe)...so it's not like I bought a ton in September to make October's food bill look like less, know what I mean? 2. Make a Shopping List I like to use the Real Simple Weekday Meal Plan and Shopping List to assist me with my menu planning, and to make a shopping list of what I still need(ed) to buy in order to make those meals. For our family, we tend to eat the same things for breakfasts (oatmeal, cereal bought at a good price, yogurt, bagels bought at a good price, eggs), and lunches tend heavily towards leftovers, so I plan mainly for the main meals and tack the breakfast items and snack items we may need onto my grocery list at the end (the Miscellaneous section of the list above is a good spot for this). Except for the rare awesome deal, stick to your list! This is imperative! 4. Make your Official Menu. Here's the menu plan I have for the next few weeks. As you can see, it's still a work in progress. I like to put it on a calendar so I can just look at the calendar on the wall to see what I will be preparing for the meal of the day. Loose papers tend to get lost around here, what with all the school papers that come in our door! I tend to check off the meals as we have them. This allows me to "change it up" a bit if I so desire and not wonder whether we have the needed items for the meals. My allergies have generally been pretty good. Sunday I had a little bit more intermittent enviro(I think-it was usually when I was in our vehicle)-induced throat itching, but overall I am doing very well in that department. I had brought in something I had suspected might be a trigger food(and wasn't), and my polarity was blocked again! Ugh! It was an easy fix, but I still wonder why the blocking?